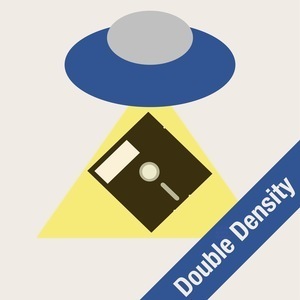 We found 9 episodes of Double Density with the tag “music”. Brian and Angelo discuss the October 2018 Apple event and how the series Haunted is definitely not based on any true story. The iPhone XR is out and a look at some Halloween history and a few scary songs. Our hosts take a look at the history of portable music technology, followed by a few spins of the Double Density Wheel of Fortune. This week, Brian and Angelo have UFO expert Rob Kristofferson on the show to talk about his two favorite things: music and UFOs. Rob provides some updates on his podcasting setup before they delve into the world of how music consumption has changed in the past few decades. Moving into the paranormal, they take a look at how the paranormal found its way into popular music, with a closer look at Robert Johnson, Jim Sullivan, and satanism & backmasking in music. This week, Angelo gets accused of trying to swindle Apple out of a new phone, Brian has defined a new style of trolling in his personal life, a discussion on release notes, a look at an unsolved 30 year old TV hack, and a new segment where they look at an idiot doing something stupid. In the paranormal section, the duo discusses an alien visitor in the solar system before launching into an in depth look at why interest in the Bermuda Triangle has dwindled.